Part of last summer’s fresh pea harvest. Peas are notorious for taking a fair amount of garden space and prep time for a relatively small bowl of sweet deliciousness. Are they “unsustainable?” It depends. Of course, there are sustainability issues in our very own microcosms, our personal and career lives. I have two assistants, one on site and one off site, because even with my tiny business the workload required to continue its growth curve was unsustainable for me alone. I recently had to announce that I’d be stepping away in 2020 from a volunteer position that’s near and dear to me because it has become, added to my other upcoming commitments, unsustainable for me. Just this week my husband and I had a heart to heart about the sustainability of my work hours vs rest and family time, because the red flags are everywhere. I attended church with the intention to keep going for the first time in years this past weekend. I have noticed that my mental and spiritual health has reached an unsustainable and yes, unstable, point without a carefully chosen faith community to help remind me that unconditional love is still very much alive in the larger world. I owe this topic, this integration of what sustainability means in its many contexts, to a post by our friends at Dulse & Rugosa, a beautiful zero waste skin and hair care company based on Gott’s Island here in Maine. I had posted the article about the Jagger Brothers yarn mill closing and Dulse & Rugosa was able to broaden that out to the issue of sustainability in general. I had said that when I was a real estate broker and didn’t get both sides of a home sale, my father used to say, “Half loaves add up to whole loaves.” I’d said that the same held true in supporting – sustaining – the things, businesses, people, organizations, the very planet, that we love. We don’t have to give a whole loaf. We don’t even have to give half a loaf. We just need to give whatever part of the loaf we can when we can. If we can do that, we can perhaps reduce the number of sad business closures we read about on a regular basis. Dulse & Rugosa responded by posting this image on their social media pages. Posted on Dulse & Rugosa’s Instagram account. Words may be attributable to Blue Ocean Action. Sustainability is so often a concept used in the context of environmental policy, and rightly so. However, I want to suggest that we also look at sustainability by asking the following questions. I also want to make clear that I struggle with these as much as anyone else does. Of the hundreds or thousands of things that I own, which ones do I want/need in a way that’s sustainable not only now, but also do not burden my loved ones after I am gone? Of all the businesses I say are important to me, how many do I offer sustenance to by buying something from them on a regular basis, even if it’s just a small thing? Do I wear my “Shop Small” pin mostly to big box stores and then feel deflated when my local yarn store folds? Of all the activities I give my time to, which ones create the best outcomes for myself, the people I love, and the larger world? Of all the activities I give my time to, are there any that require taking time away from others? Do others ever have to bear the costs of my allocation of time? When I buy something, how much packaging do I really need? Does visually engaging but ultimately land-fillable (or worse) packaging add real sustainable value or just make the product more salable for its manufacturer at the outset? At the top of this post I have a photo of last year’s pea harvest. I love fresh, sweet peas, but every year I grow them I think to myself, “That was a lot of time, space, tending, and shelling for such a small return.” Is it a small return, though? That’s a subjective question. How do I quantify the satisfaction inherent in the process of growing, harvesting, preparing, and then tasting those fresh peas? To borrow from Marie Kondo, they definitely “spark joy.” I suppose for me, staking out a row for peas, knowing the return is objectively modest, is worthwhile and it’s causing no harm. For someone else, the effort would simply look unsustainable. Everything we do, buy, produce, or spend time on can be subjectively evaluated in the same way unless it is simply crystal clear that whatever we’re analyzing is objectively harmful or unsustainable. I think you get the gist of my musings. In my life there have been several crossroads at which the unsustainability of a single decision or accumulation of decisions has become so unbearable that some kind of disruptive change has been necessary to create a more tenable life situation. What I am learning now is that by looking at sustainability in a holistic, multi-contextual way, I can make better decisions that will work in the direction of ease and responsibility – to myself, to others, and to the planet – instead of accumulating in to an unsustainable morass. These decisions include what I choose to do and have and what I choose not to do and not to have. Henry David Thoreau distilled this down to its very essence when he wrote, “The cost of a thing is the amount of what I call life which is required to be exchanged for it, immediately or in the long run.” Thoreau lived as though he planned to stay, conducting his life with an economy that is rarely matched in modern day America. In fact, his economy with words is one I apparently can not hope to achieve. I’d be very interested to know your thoughts on this topic and the contexts in which sustainability has meaning for you. In a country where some of us have too much and yet others have much too little, what are the moral implications of seeking sustainability in a variety of ways as well? Feel free to join the discussion. I know I don’t have even a fraction of the answers. And that, ladies and gentlemen, sums up life in Maine. If you’ve never had that feeling of sheer mind exploding existential wonder – who am I and where is this place? – please contact me. I’ll recommend some very fine mountain tops in Maine. I might even cheat a little and send you further over our western border in to New Hampshire’s Presidential Range too. Ironically, I thought of Thoreau this morning as I took in the scene of my neighbor Becca’s field, which was hayed just yesterday. The hay is still on the ground and I expect the baler to show up any day now to gather it in to those big, fragrant bales that will become bedding, feed, garden mulching, and who knows what else for countless living things. Thoreau loved wildness. Just about a month or so ago I shot a video of this field burgeoning with fresh, colorful lupines, yellow and white daisies, and Indian paintbrushes. Ducks with their babies were living on the pond. My young Collie, Wyeth, and I were delirious with the lushness of it and I think my viewers could hear that in my voice. The field was wild. Not The Maine Woods wild with its roaming moose and potentially killer river rapids, but wild nonetheless. Today’s view of the field was decidedly domesticated. I thought of all of Thoreau’s remarks in Walden about the domestication of land and, more pointedly, the domestication of mankind. And yet, I also see a beauty of its own in this cut down field; it’s given its all and will now become a sustaining resource for others. My memory of it in full bloom juxtaposed against today’s scene is a fairly direct lesson in impermanence. That’s not a bad thing. If I could have Thoreau over for tea, I’d ask him about this line of thought. For me, the haying of this field is the cracking of the doorway to fall. I know it’s only mid July, but July is a dearth month here in Maine, a month when beekeepers have to keep a sharp eye on their hives. The big spring pollen and nectar flow is over and not much is happening until later in the summer and early fall to keep their little charges in food. It’s the temporary dearth before the big dearth of late fall and winter. This is the time of year I notice my young apples forming on their ancient trees and start to imagine the smell of them cooking down in to sauces and pie filling. My goldenchain tree’s yellow blossoms have turned to tight, brown seed pods in anticipation of next spring. The hot, muggy days are interspersed with dry, cool ones. Fall is my best season, and it’s coming, which brings me to the life metaphor that inspired this post. If I ever got a tattoo (no…really…that’s not happening…but if), it would probably just be that short, two word sentence. I’m simplifying my own working life down to three essential elements: making, writing, teaching. If an opportunity or venture does not clearly fit as one of the essential elements, I will not be doing it. * As I look to people in the creative world who I admire, I see that they know how to delegate to achieve their dreams. They do mostly the work that they love, and, importantly, that no one else can do because the creation is specific to its creator. Thoreau knew failure and chose anyway not to respond with fear or a quelling of his expression. Thoreau didn’t live to see his super-stardom in the literary and philosophical world. When he succumbed to tuberculosis in 1862 it was too early to know that he’d one day be so influential to so many. 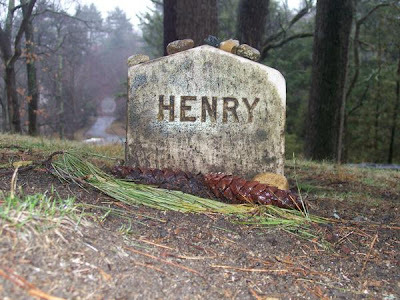 He didn’t even see the end of the Civil War, a conflict whose outcome he cared about so deeply having been himself involved in the Underground Railroad from his home base of Concord, Massachusetts. His book A Week on the Concord and Merrimack Rivers was an outright commercial failure at the time of its publication, and yet I, and many others, revere that book today. It chronicles Thoreau’s time with his brother, John, on the rivers in 1839, before John’s tragic death much too young. Perhaps my own experience of losing a brother way too soon endears this book to me. I think I understand a bit of the love, grief, and desire to relive time that may have been at the core of Thoreau’s need to write it. Even Walden was only moderately commercially successful in its time and today is still the target of harsh criticism by those (in my humble opinion) who understand neither its author or its context. I want to follow Thoreau the rest of my days, and follow him in his extravagant expression of who he was, not to copy his life or person, but to be inspired by it to find my own best way. The truth Thoreau was convinced of was broader and deeper than even he could express, for all of his eloquence, and yet he conveyed it somehow to those of us with a heart sympathetic to his message. His life story and the writing he left behind provide me with strength as I start to publish my own books in the next few years. I can not hope to be remembered at all two hundred and one years after my birth; I am no Thoreau. However, I can, and you can, take from his life and work the resonant threads and we can all be the better for them. Happy Thoreau’s birthday & happy creating. *Footnote: The online shops and the physical studio are not going away, but they are going to be increasingly delegated. If there is one thing I’ve learned as I’ve gotten older it’s that I can not do everything and I can not be who I am not.